a content management solution and gain control. content for over twenty-five years. 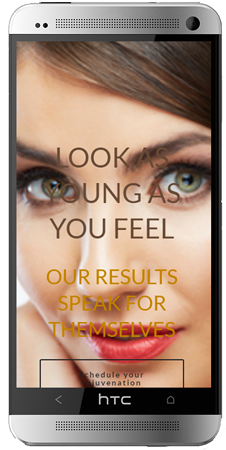 All images on our sites are crystal clear so patients can see the results you offer. Stay up to date with retina display images. All our sites are built with security in mind, adhere to the best web design trends, and are light-weight to provide fast page loads. We take care of most of the edits for you, and for select clients who want to learn our content system, you’re able to log in to edit pages or add photos to your media library. MJD Websites Get You Found on All Devices. And it’s the fastest, easiest way to build a website. Our Search Engine Optimized (SEO), society-approved, Patient-Friendly™ content gets you found online, and is designed to increase patient consultations. 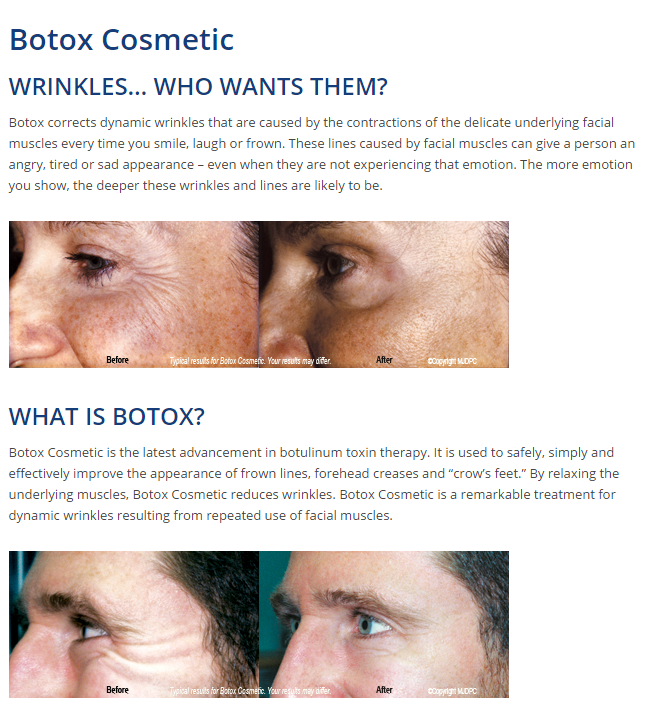 Our before and after photographs manage expectations with satisfactory results. 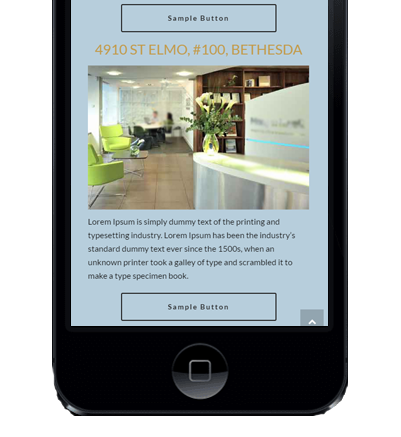 Send us your copy, or we can migrate your current website content. We can also add your own Before and After Gallery, contact forms, request appointment forms, and links to your latest news and specials. No where else do you get a free hour of support, that includes editing the text on your site or swapping out photos. You can even use your free time to learn how to edit in the backend — if you really want to. We are a simple company with simple goal. At MJD, our goal is to expand medical practices through improved patient education. 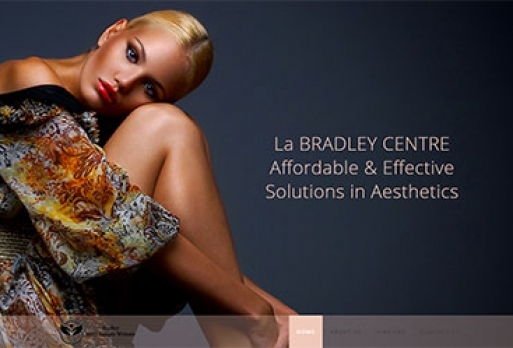 Our focus is to provide Patient-Friendly™ information about cosmetic procedures written and produced in such a way as to encourage increased consultations with our clients. To accomplish this, we offer the highest quality, client reviewed and tested practice marketing products designed and priced for every taste and budget. Since our inception in 1991, MJD has assisted over three thousand practices to increase cosmetic procedures and improve patient satisfaction. We provide private label brochures to one Medical Society and are the preferred provider for two others. For these honors we thank our Medical Advisors and our loyal customers. They own our products and advise us every day on keeping them current. Please browse our product information in this website and let us know if there is anything we can do to improve our product line. MJD set out in 1991 to provide effective, economical, practice building products that were easy to understand and Patient-Friendly™. Since then we’ve become the leaders in aesthetic marketing concepts with pioneering products including brochures that feature before and after photographs (versus drawings in the early days), the first-ever Content Management System (CMS) for doctors to update their web pages anywhere, anytime (addressing the common complaints about fees and time involved with their webmasters), introduced the first “plug and play” procedure slide shows before anyone in our industry), and the original doctor locator site: TopDocs.com, where 89% of our clients get found on the first page on organic Google search results. Our philosophy has always been to create products that generate consults. As many of our staff and advisers are patients ourselves, we know what the end user wants and needs to hear about a procedure. 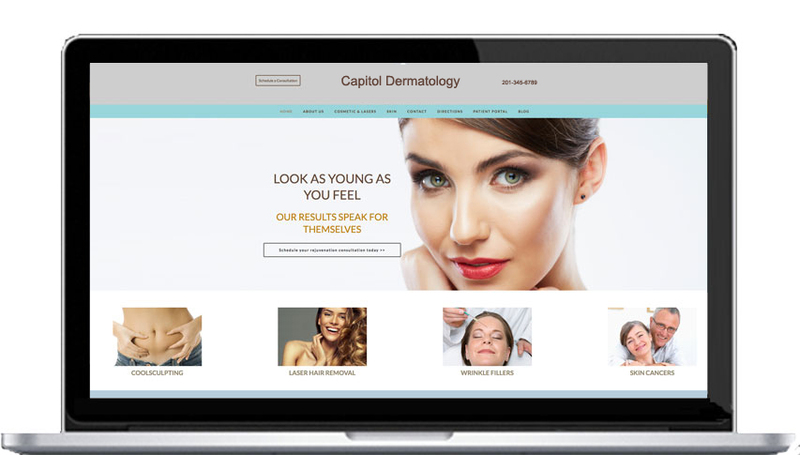 All of our websites are geared to generate consults, with easy to understand text, average before and after photographs to manage patient expectations, and a clear call to action for them to contact your practice and schedule a consult. We’re committed to using our medical marketing expertise to deliver aesthetically-pleasing, Patient-Friendly™ practice marketing concepts to generate and increase patient consults for you and your practice. Include them on your webpages to get all the advantages of video. Purchase a DVD or USB to play them in your reception area to keep your message fresh with your patients. Want To Discuss The Possible Modifications On Your Website Or How You Can Create A Brand New One? I consent to MJD Websites collecting my details through this form.